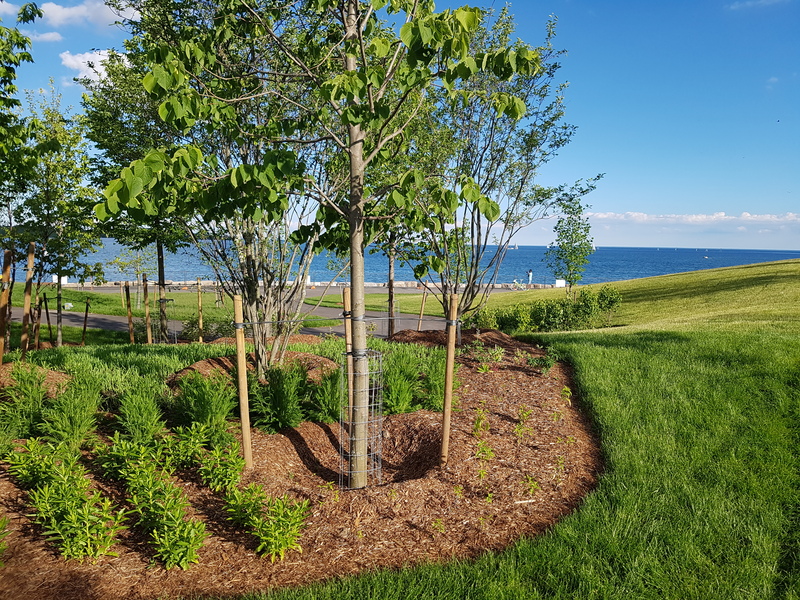 The Runoff Volume Control Targets report recommends Ontario implement minimum volume control targets that would require new development and redevelopment projects to manage rainfall onsite for up to the 90th percentile rain event. This means that the first 23-32 mm of rainwater (depending on where a site is located in the province) would need to be captured and treated on site. 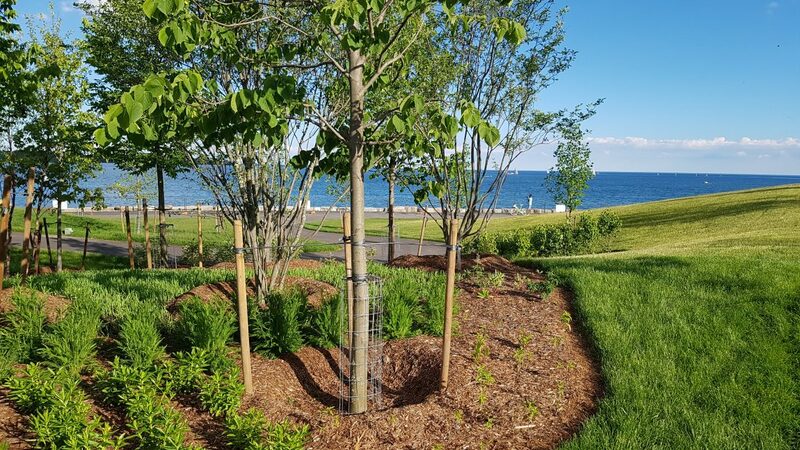 This is great news for green infrastructure as it will encourage stormwater management practices that utilize green infrastructure to manage rain where it falls. The report goes further in its support for green infrastructure approaches as it outlines a series of recommendations for MOECC to consider in the development of the full guidance manual. Set a goal of maintaining the predevelopment water balance to ensure the ecosystem function and natural quality and hydrological characteristics of natural features are maintained and known impacts are avoided. Regard rainwater as a resource which is to be managed as close to the source area as possible. Retention: LID measures that permanently retain rainfall volumes onsite through infiltration, evapotranspiration, and harvesting/reuse. LID Volume Capture and Release: LID measures that capture, treat, and release rainwater. Other Volume Detention and Release: non-LID measures that detain and release rainwater. Now is the time to communicate our enthusiastic support for using green infrastructure to manage rain where it falls. GIO will be submitting a joint response to the EBR posting and we encourage all green infrastructure stakeholders sign on. Please click here to sign on to GIO’s joint brief by July 14th, 2017. Click here to read the draft response.